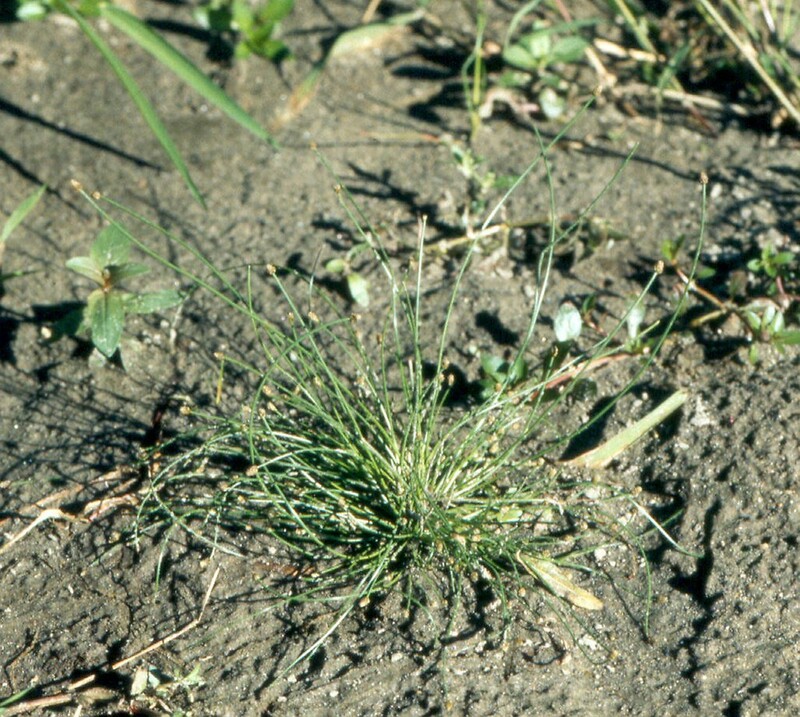 Wright's spikesedge is a rare plant that occurs on sandy shores of only three rivers in New England (the Androscoggin, Connecticut and Merrimack Rivers), plus Lake Champlain. 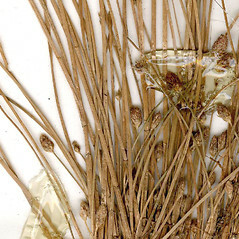 It is one of the smaller, spreading spikesedges in our area, with thin, soft, reclining stems topped by plump spikelets with orange-brown flower scales and achenes with flattened tubercles. It is threatened by ATV traffic and other trampling in its muddy shoreline habitats. floral scales rounded and unkeeled at the apex and tubercles 0.2-0.3 mm tall (vs. E. diandra, with floral scales acute and keeled near the apex and tubercles 0.1-0.2 mm tall). 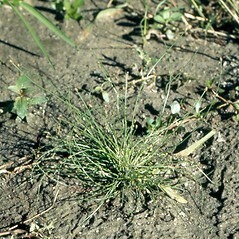 Wright’s spikesedge. 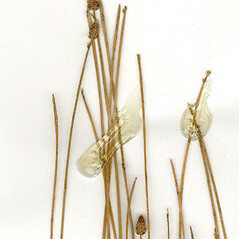 Eleocharis diandra C. Wright var. 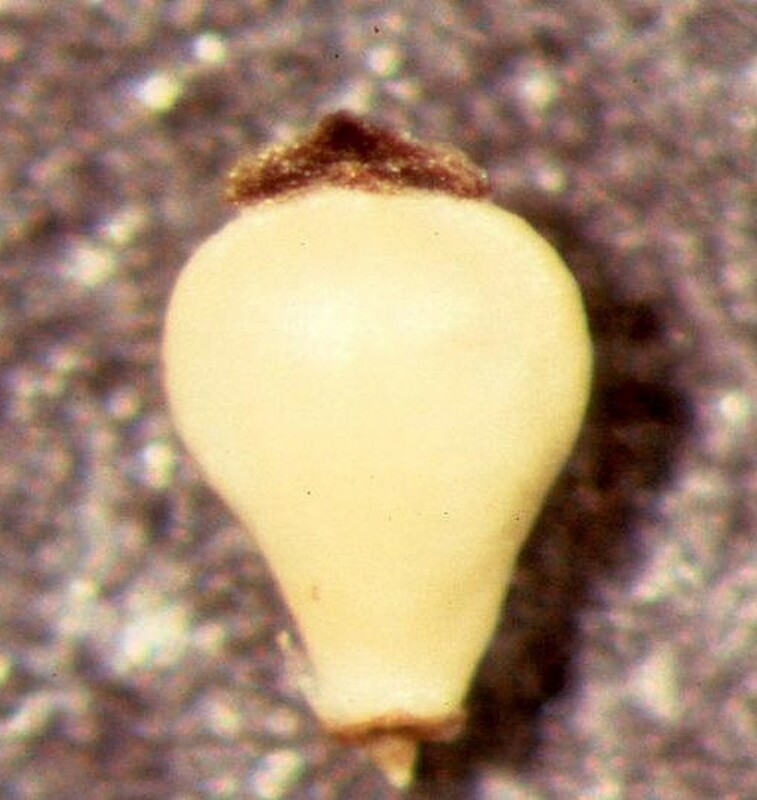 depressa Fern. • CT, MA, ME, NH, VT. Wet sand of major rivers and, rarely, lake shores. 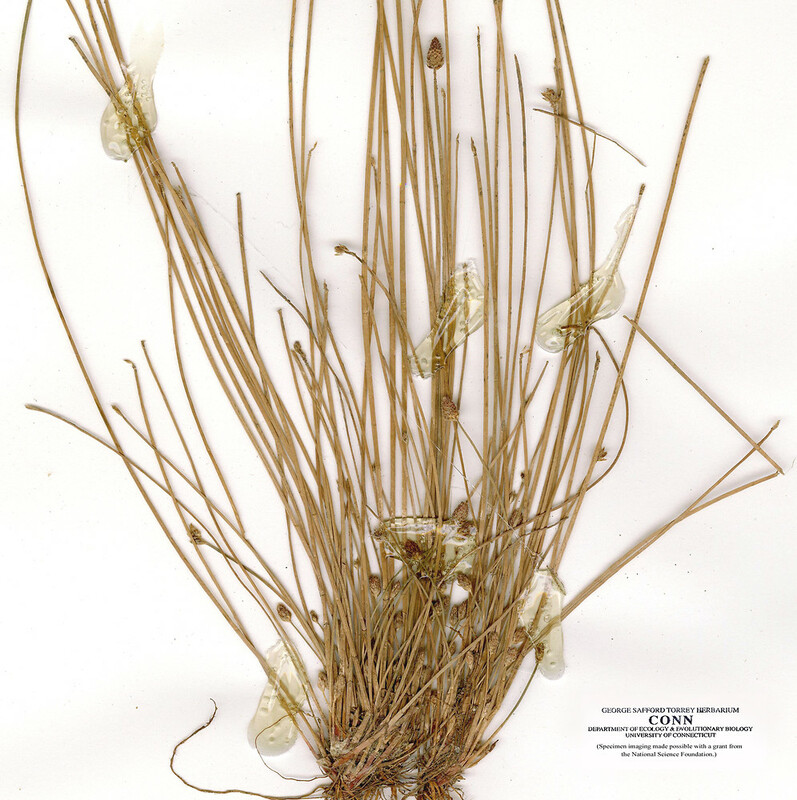 In New England known only from the Androscoggin, Connecticut, and Merrimack Rivers and Lake Champlain. 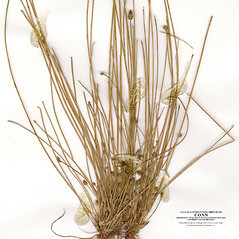 This species has been frequently reported from fresh-tidal river shores (e.g., Seymour 1982, Gleason and Cronquist 1991). 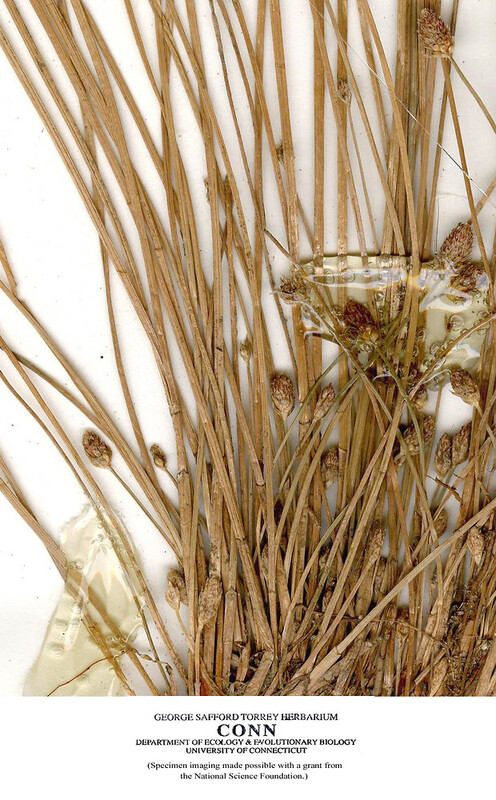 However, those reports are based on Eleocharis aestuum. 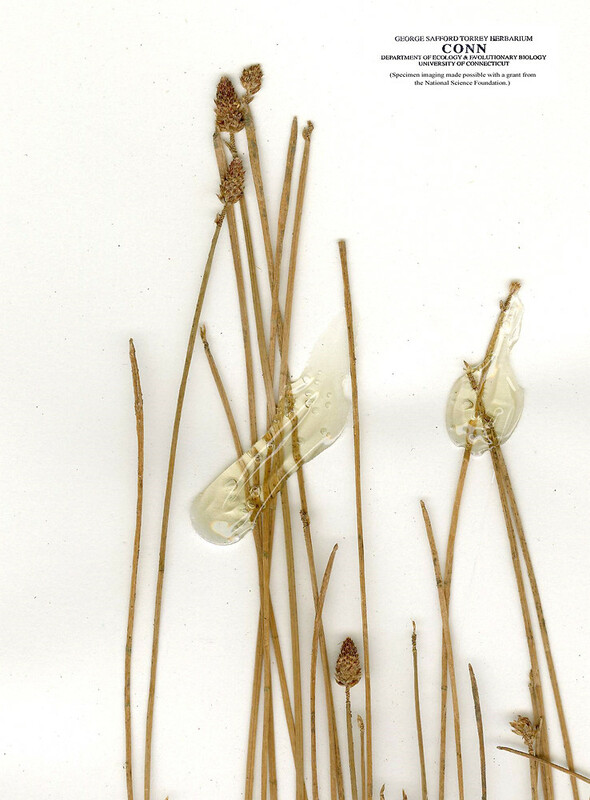 Eleocharis diandra occurs in non-tidal situations, with the exception of its downstream populations on the Connecticut River in Hartford County, CT, where the river is minimally tidal.